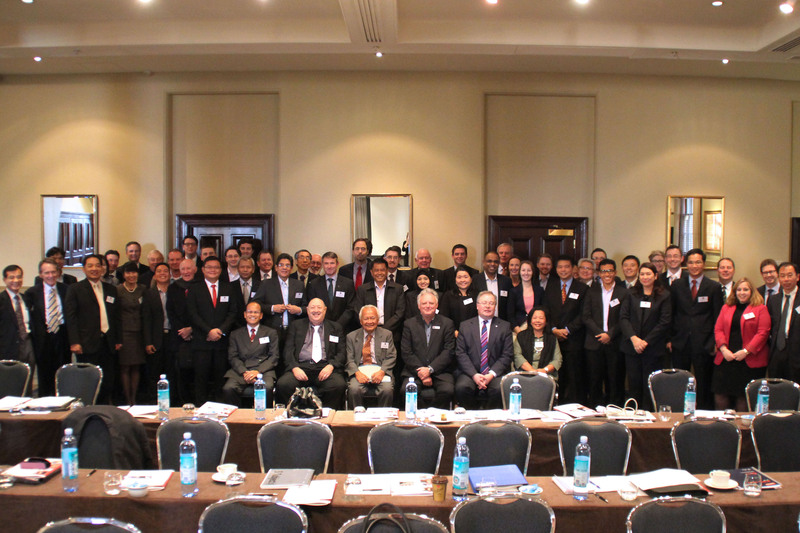 ASPI recently convened a conference on Maritime Confidence Building Measures in the South China Sea. It was attended by 62 participants from 16 countries and considered maritime confidence building measures of a military and non-military nature, as well as examining possible mechanisms for avoiding and managing incidents at sea. In a post on the conference on the Lowy Interpreter, Rory Medcalf rightly pointed out that we need to get beyond a situation where some countries won’t institute CBMs until they’ve achieved a level of political and strategic trust that would make confidence building measures (CBMs) redundant. This has become a ‘chicken and egg’ situation. What comes first—trust or CBMs? Some claim that the Chinese position is that CBMs aren’t possible in the South China Sea (SCS) without first building strategic trust. But others believe that when China puts forward proposals such as the ASEAN–China Maritime Cooperation Fund, it’s actually proposing CBMs. ASEAN claimants have been slow to embrace the Chinese proposals: they’re saying that some form of trust is required before there can be cooperation. 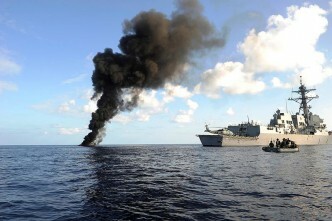 This might mean some concessions by China with regard to its sovereignty claims in the SCS. What Rory’s post doesn’t acknowledge, however, is the need for cooperation on issues such as fisheries management, marine scientific research and marine environmental protection. Littoral countries to the SCS are all parties to the 1982 UN Convention on the Law of the Sea and thus have a clear obligation to cooperate on these activities. Cooperation isn’t just something that’s nice to have—it’s both an obligation and a necessity. 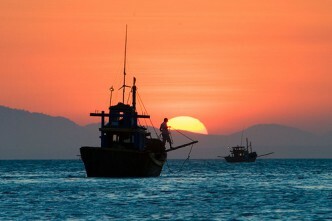 Without cooperation, fisheries are being over-fished, marine habitats are being destroyed, large areas of the SCS remain unsurveyed and the littoral countries lack the scientific knowledge required for the effective exercise of their sovereign rights in adjacent waters. Too many analysts fail to appreciate that there’s real differences between the maritime and the terrestrial domains. Sovereignty at sea is invariably exercised with qualifications, whereas sovereignty on land is absolute. In an exclusive economic zone, for example, a coastal state only exercises sovereign rights over the living and non-living resources of the zone, rather than full sovereignty. Maritime cooperation can be hindered by the failure to acknowledge the interconnected nature of uses of the sea, and the qualifications to the exercise of sovereign jurisdiction at sea. In areas of overlapping jurisdiction, the maritime domain and its resources can’t be managed on the basis of national jurisdiction alone. Cooperation between neighbouring states is essential for good order at sea and effective maritime management. In short, maritime cooperation is a CBM that helps build trust and confidence. Cooperation on managing the South China Sea and its resources should proceed even as the disagreements are negotiated at the political level and the sovereignty disputes remain unresolved. We’d also note that when Rory says: ‘A senior Chinese participant at the conference confirmed to me that China continues to see trust as the essential precursor to operational (our emphasis) CBMs’, we believe the participant was thinking of INCSEA-type arrangements, not of cooperation as a CBM. As we’ve noted, China has put forward proposals for the required cooperation, but it’s the ASEAN claimants that’ve been slow to accept these. On the other hand, it’s well known that China has been sensitive to operational measures such as an INCSEA arrangement. We’d argue that we should be thinking separately about maritime cooperation as a CBM on the one hand and military measures on the other: we should detach cooperation from operational CBMs such as INCSEA-type arrangements. Anthony Bergin is ASPI’s deputy director. Sam Bateman is a senior fellow and adviser to the Maritime Security Programme at the S. Rajaratnam School of International Studies in Singapore.